​While it's essential that you take extra care of your precious antique rug in order to increase its lifespan and preserve its state, it can be very difficult to repair antique rugs on your own and it's always advisable to take your antique piece to a professional repair company as soon as you discover a hole or any other kind of damage on it. Most often, antique rug owners come to us with damaged fringes – if this form of damage isn't restored in a timely fashion, the entire rug can become loose and unravel. Regardless of how extensive the damage on your rug's fringes, our trained professionals can easily restore them, be it by repairing, adding new ones or a combination of both, all the while ensuring that the fringes are similar to the original ones. 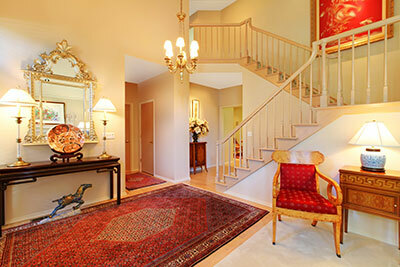 The second most common type of antique rug damage we encounter is rips, holes and tears. Holes and tears can happen to any rug over time, and it's likewise essential to get them repaired as soon as possible to avoid further issues. Before starting repairs of this type, we inspect the fabric closely and repair the rug according to its needs, again ensuring that we use the same threads to repair it. The third most common kind of repair we do involves the colors of an antique rug bleeding, usually as a result of its owner trying to clean the rug at home using the wrong cleaning agents. Here, we use color blocking agents to ensure that the dyes do not bleed further as well as bleaching agents that get rid of any unwanted color. While these are some of the repairs we get most often, our repairing knowledge extends far past these examples and covers any issue your antique rug might have. Without question, antique rugs add tremendously to the beauty of any room they're placed in, whether we're talking a small emerald Turkish rug that contrasts with the decor of your lounge, a formal Oriental rug in a conference room or a cozy vintage rug by the fireplace. There is another unquestionable property of these rugs, however: no matter the details of their manufacture, they likely require regular repairs, the frequency of which depends on their use. 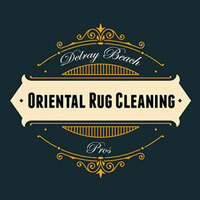 We at Oriental Rug Pros seek to provide the best for our customers in every aspect of rug care. We deal with a wide variety of rug-related problems, but one of our specialties involves the repairing and restoration of antique rugs. On every repair job, we endeavor to fulfill your requirements to the letter while at the same time retaining the authenticity of your antique rug – a feat few rug restorers can claim. Restoring one or more holes on your antique rug is no issue, even if the rug was made using an exotic weaving technique that most other companies haven't encountered, let alone are able to replicate – our repairers are also expert weavers and can restore the rug's original appearance with no deviation. More often than not, antique rugs will start to wear out after a certain period of time, which can result in tears, splits and frayed sides and edges – we are well-versed when tackling such problems as well. We meticulously rid your precious antique rug of any frayed sides and re-stitch the tears and splits using the exact same fabric that the rug is made out of. No matter the extent of the damage, our highly skilled workers will re-weave and rebuild your rug to achieve the immaculate look that you desire. 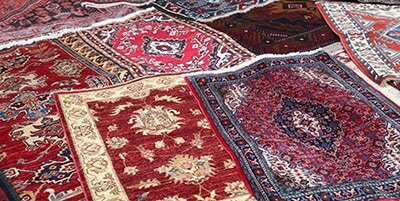 Our experts find that most antique rugs are prone to vicious infestations or attacks by small insects, and they specialize in dealing with such menaces. Our workforce is well-aware of which type of infestation prevention is best used on a specific fabric, which not only helps to get rid of pests but also ensures that the fabric of the rug is protected from similar assaults in the future. We are renowned for restoring rugs with stains, such as those from red wine and coffee, with flawless results that exceed the customer's expectations, and we have also effectively removed stains and smell left by pet urine on countless occasions. Thus, if your rug is suffering from such mishaps, do not worry as we have you covered. If needed, we can also help with the exact color match of the replacement fabric, which is extremely important to preserve the appearance of antique rugs that have suffered severe damage. Over time, moisture can gradually build up inside an antique rug, turning to mold and destroying the look of your beautiful rug. Among other things, our experts use special suction machines to free our clients from such menaces and leave the rug free from both odor and mold staining.